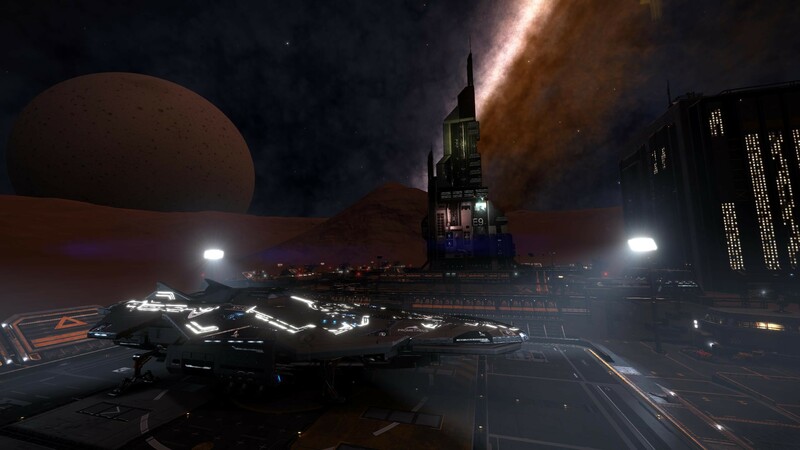 I've been spending time doing some serious engineering on my brand new explorer Anaconda "Prometheus", and the time has come to set off on another one of these long explorer trips into the unknown (this will be my third one). This time I've raised my jumprange to 51LY's, which will seriously increase my daily travel distance compared to my previous journeys. 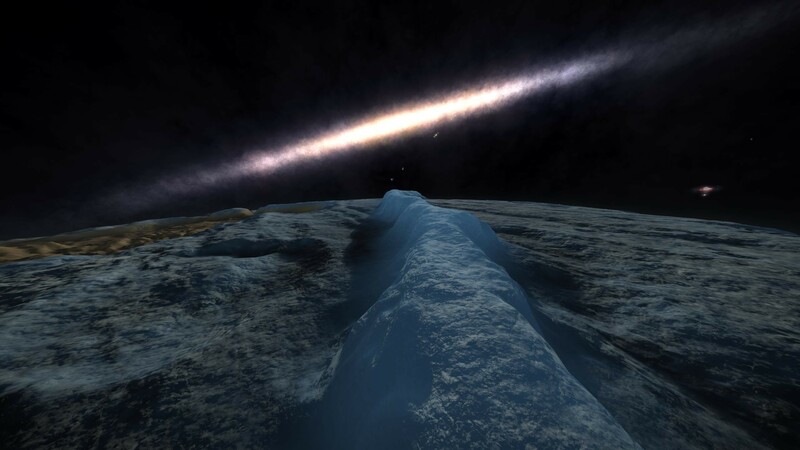 On this expedition I've decided to go "all in", traveling 65 000LY's across the galaxy to visit "Beagle Point". I've wanted to do this journey since I started doing exploring, but until now I have considered crossing the Abyss to be a bit too risky and dangerous! 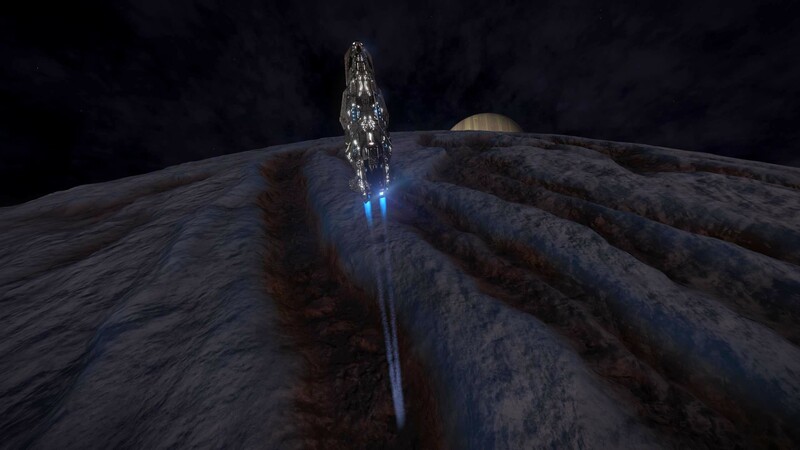 But after visiting SagA* twice now, earning my "Elite" explorer rank I think I'm as ready as I can be to avoid becoming "lost in space" and return safely back home from this 150 000 LY's roundtrip. 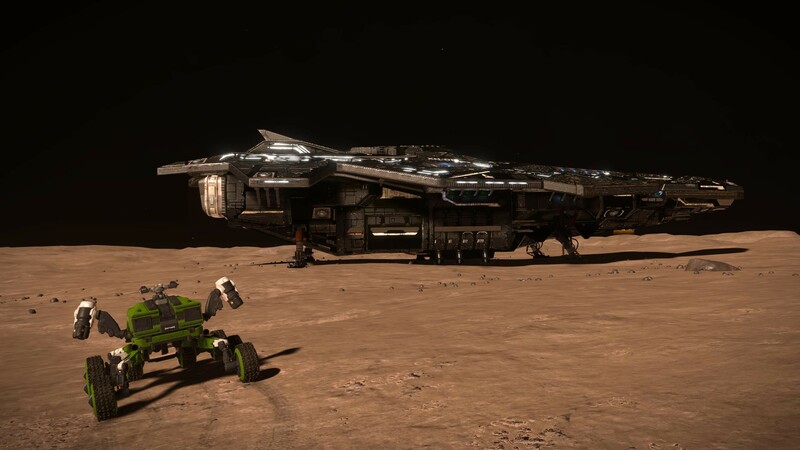 Landed at refuel outpost #1, "Hillary Depot" after a good 2000LY's stage on the first day of the trip. It sure is nice to be back out here again! 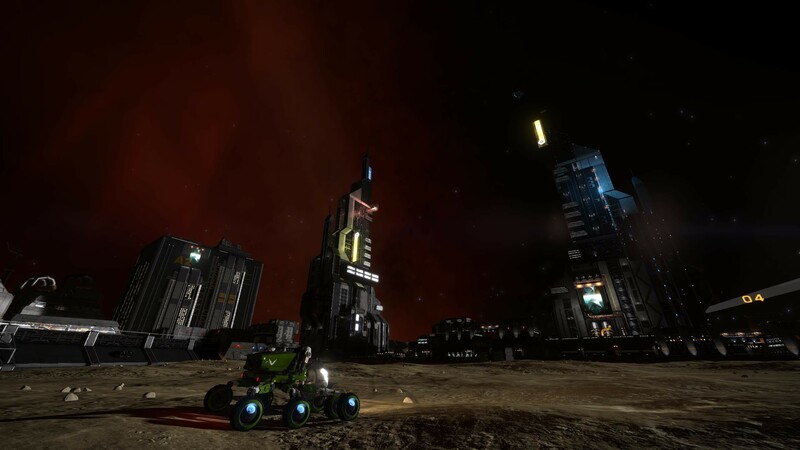 Reached refuel outpost #2, "Amundsen Terminal" today after spending a few days on different planets collecting "jumponium" materials. 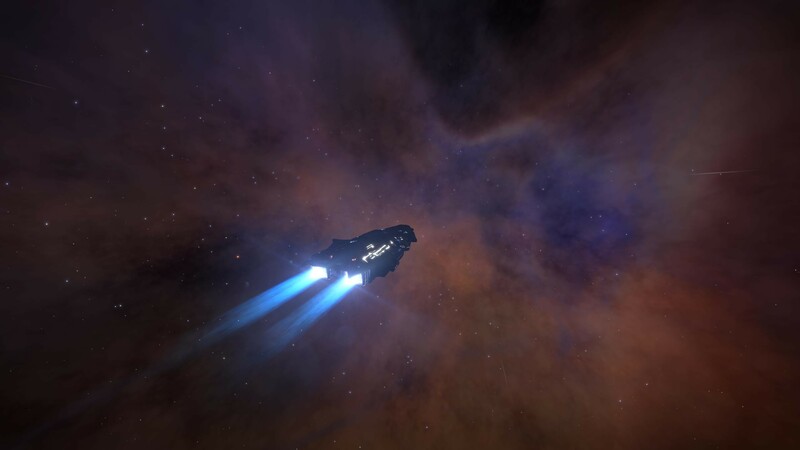 I'm starting to get that exciting "deep space explorer" feeling again, 4500LY's from home. 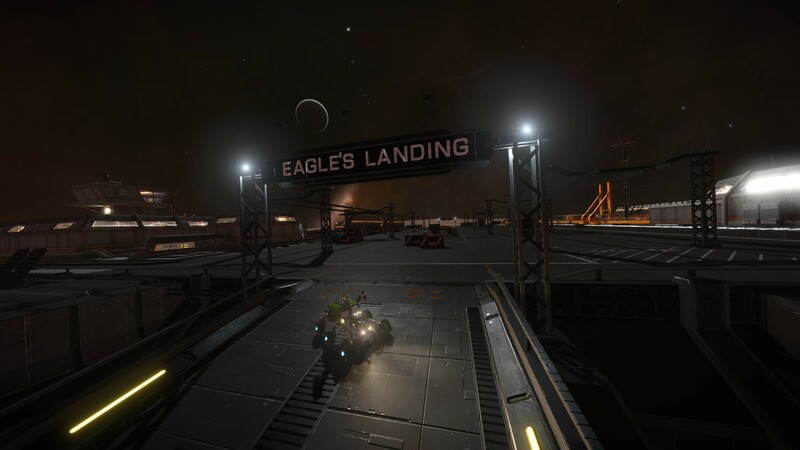 Arrived at refuel outpost #3, "Eagles Landing" today and used some time in my SRV to refill some "jumponium" materials for my mega trip. 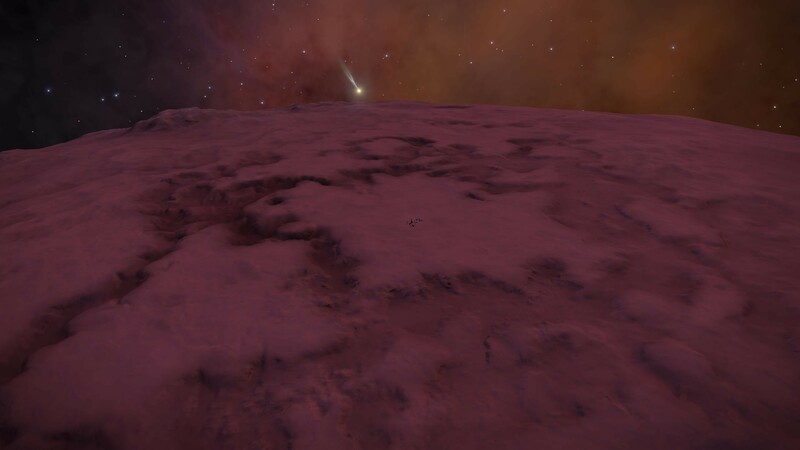 Passed the 10.000LY's mark today and seeing these awesome views of the galaxy again, that you have to be this far out to enjoy. 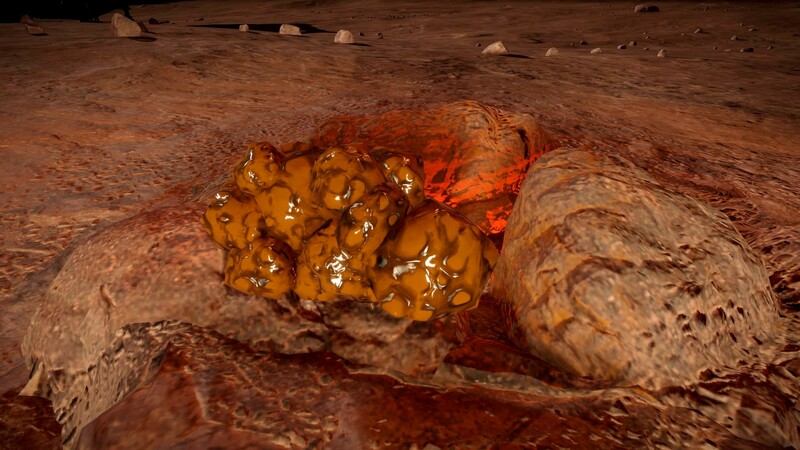 Spent most of the day collecting rare materials, mainly "jumponium" for FSD boosting. I'm going to need a lot of this stuff!! 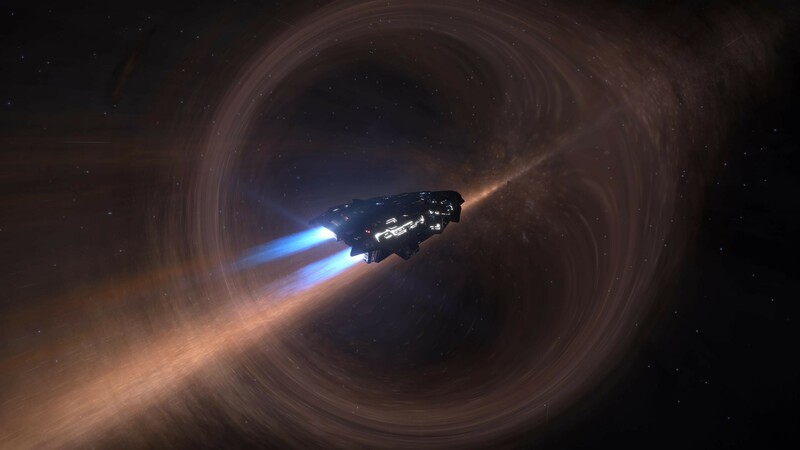 Black Holes are always a great view. 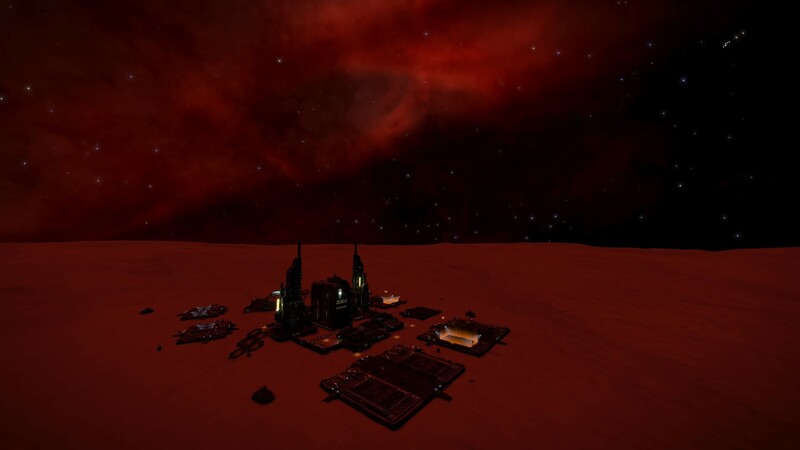 Ended the day landing on "Polo Harbour", the 6th and last refuel outpost on the way to Colonia. After "neutron boosting" almost 4800LY's today, I reached my first main destination, Colonia. 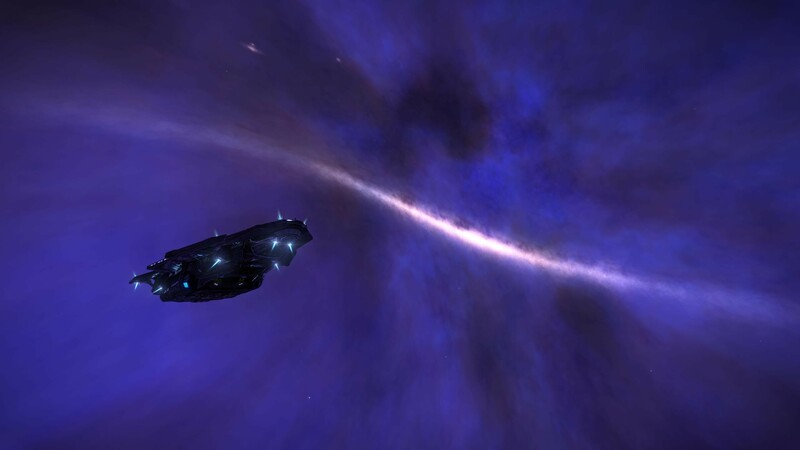 I also passed the 20.000LY mark today! 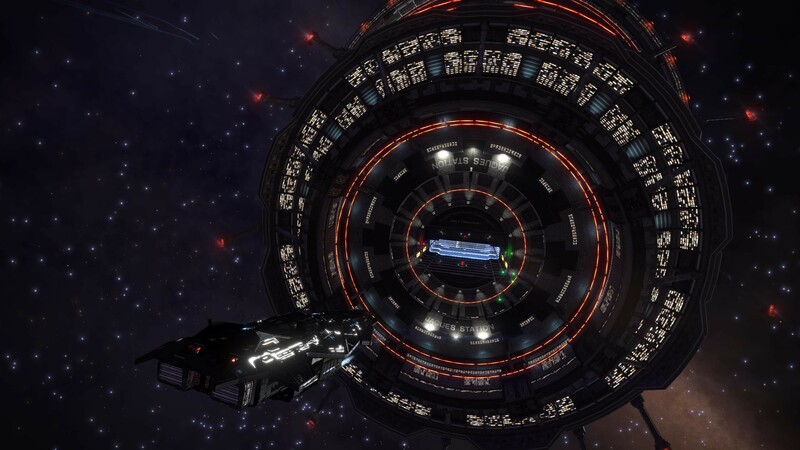 Docking safely at Jacques Station. Will get a good nights sleep here before heading off into "the abyss" tomorrow. 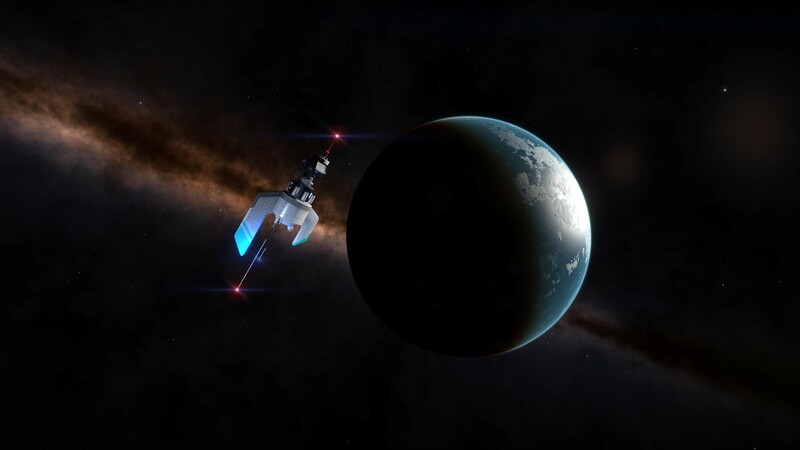 This awesome journey to Beagle Point starts for real now, and Jacques Station will be my last chance to dock for a very long time, when I'm back home in the bubble. And from here everything will be new and exciting exploration into the unknown. 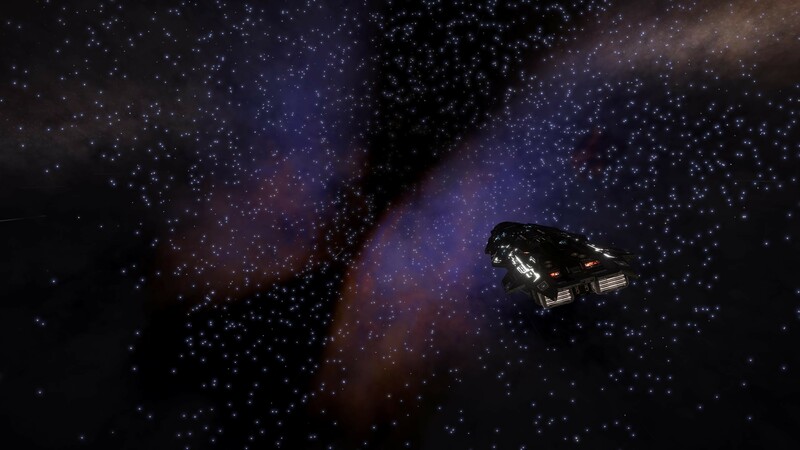 Left Colonia this morning and are heading further out into "the black" towards Beagle Point. 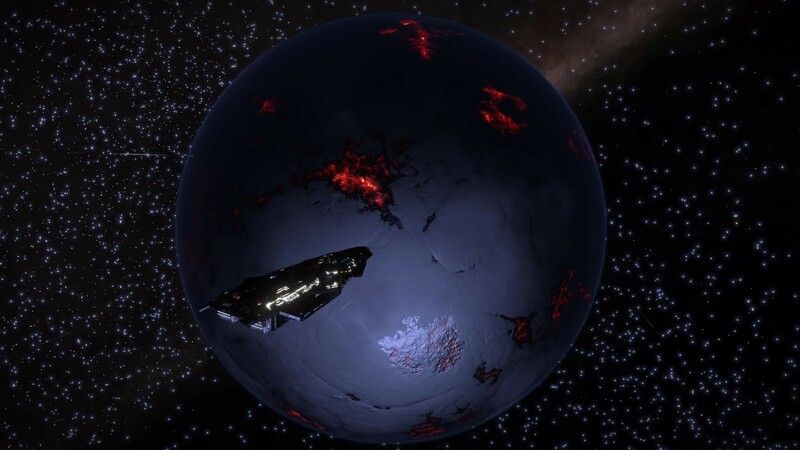 Discovered my first Earth Like World on this trip. A lot of boost jumping between neutron stars so I managed to travel 9400LY's on this stage! 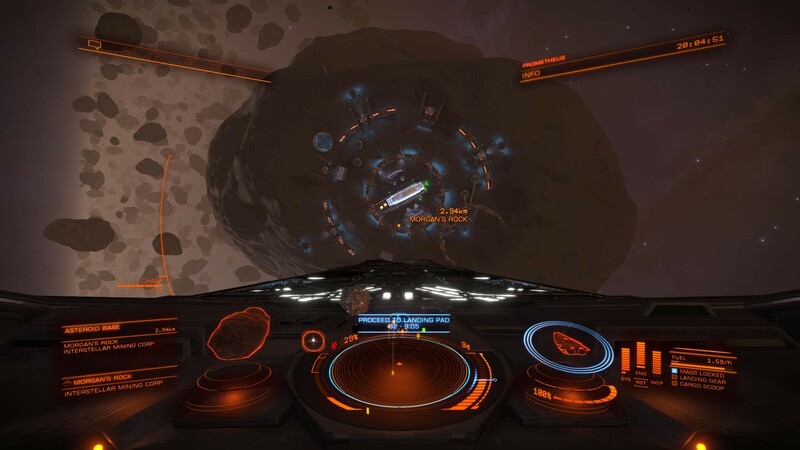 I also earned my badge and joined the "200.000LY Club" today!! Hooray!! Goodness, greatness, great balls of fire what a journey this is!! 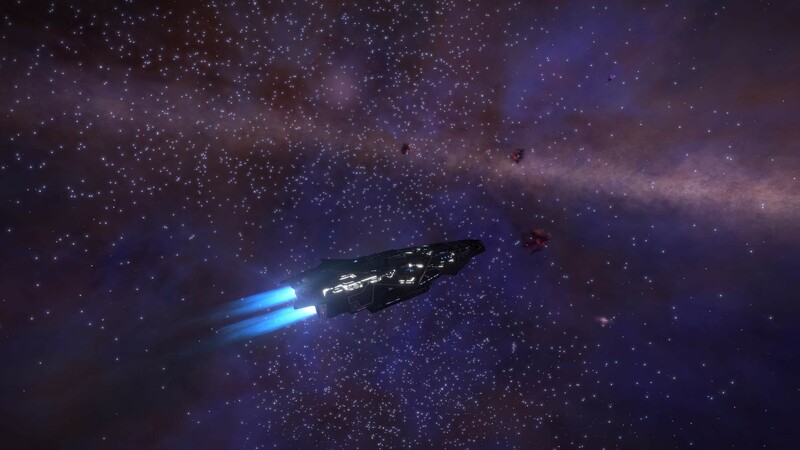 Enjoying every single jump out here on my way to Beagle Point and are now starting to get close with approx 10KLY's left to travel. Should be there in a day or two. Until now I have boost-jumped and discovered hundreds of neutron star systems since leaving Colonia. I have also discovered some new systems with ELW's and FINALLY found my "own" Ammonia world today. But the amount of systems are now dramatically beeing reduced as I get closer to BP, so I have to be more careful when planning my routes out here. At the moment I am on the edge of the notorious "Abyss" and will probably start the crossing tomorrow. 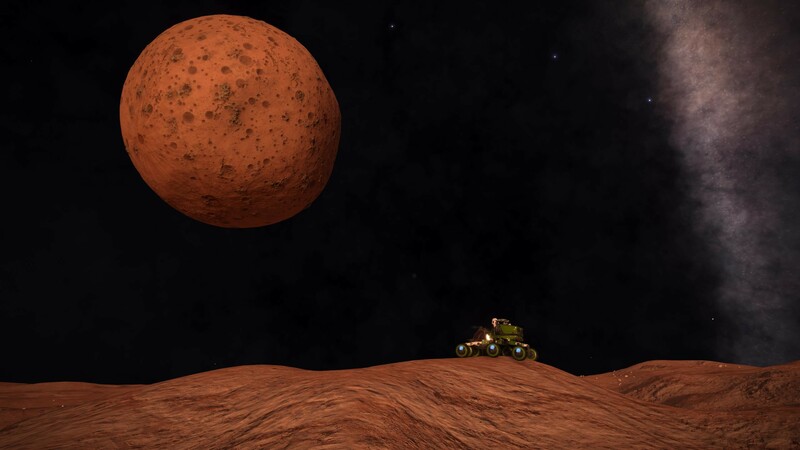 But with 51LY's jumprange and my cargo full of "jumponium" I should be ok. 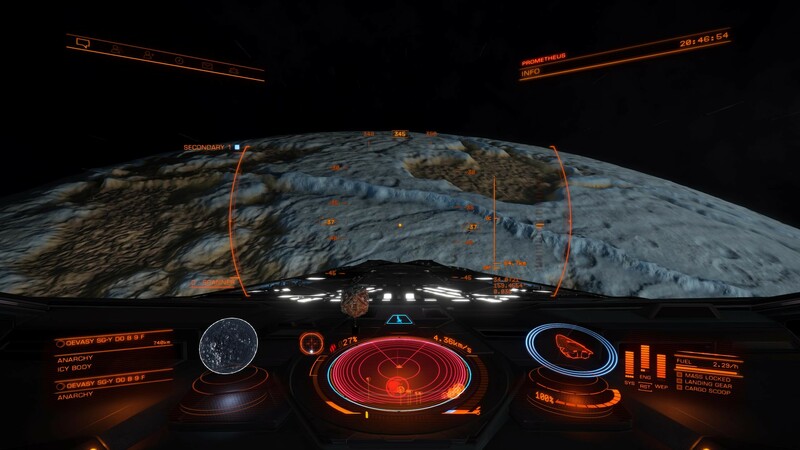 However, if I get in trouble I might have to ask the honorable CMDR Chiggy VonRictofen to do another Beagle Point rescue. What an awesome story! Visiting some "EDSM points of interest" on my last stage to Beagle Point and took a short stop at "Thomaski's Memorial" to pay my respects. Really starting to see now how far I actually have traveled from the bubble as the galaxy has become just a dim light far, far away. Just passed the 60 000LY's mark from Sol and have used the last few days to fill up with jumponium materials. 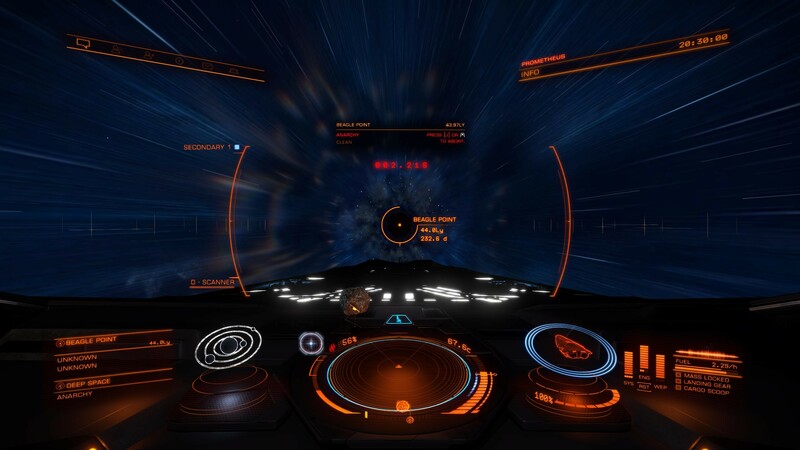 Traveling only 100LY's can easily become 4-5 jumps out here, so boosting the FSD can be very effective. 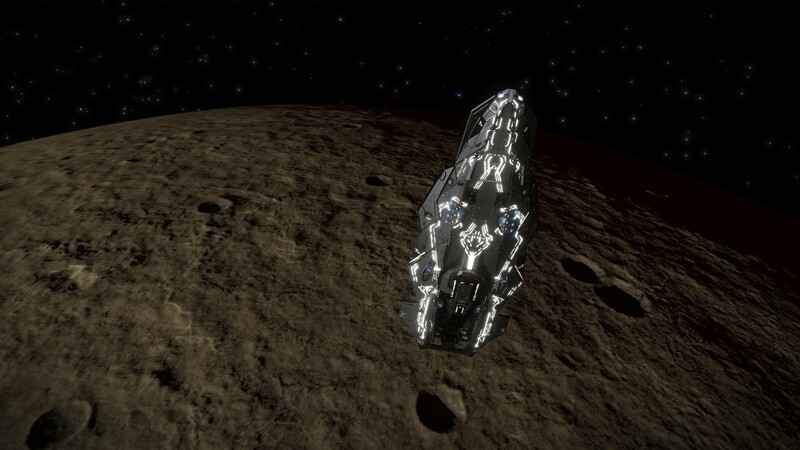 Looking for metallic meteorites with Polonium, Yttrium and Niobium requires some patience, but very satisfactory and rewarding when you hit the "jackpot"
Just 4350LY's from BP now, but I got all the time in the world so I'm taking the time to visit some known POI's nearby. 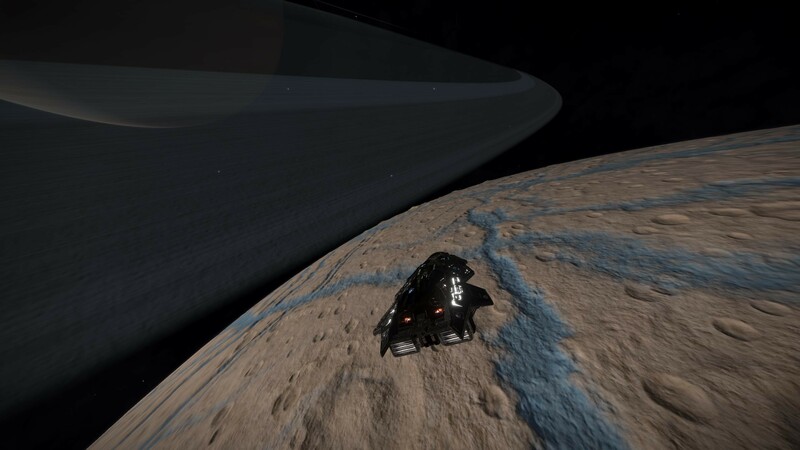 Took a trip to the "Grand Rings" where this gas giant has a very close orbiting moon where I landed. And the view was just as spectacular as described! Really recommend visiting this place! 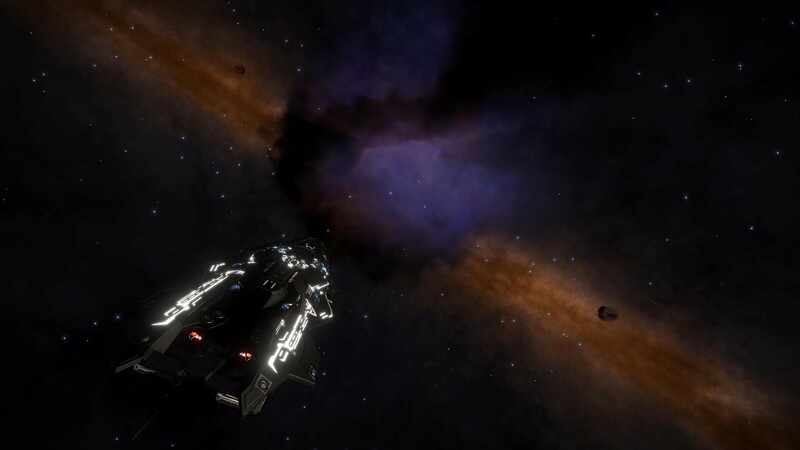 Discovered another Earth Like World today and also visited the planet nebula, "A distant view in blue" which has a nice and colorful view of the galaxy. The system also has a black hole which created some very nice optical effects. I'M HERE.....WOW, I AM ACTUALLY AT BEAGLE POINT!!!! 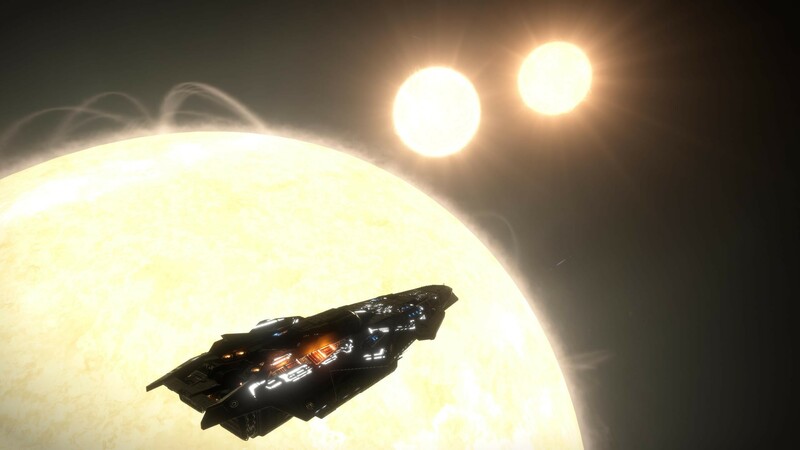 After 32 days and 72.112LY's of exploring I finally reached my main destination on this journey, and have now become a proud member of the "65.000LY's from Sol Club"!! Yeaahh!!! 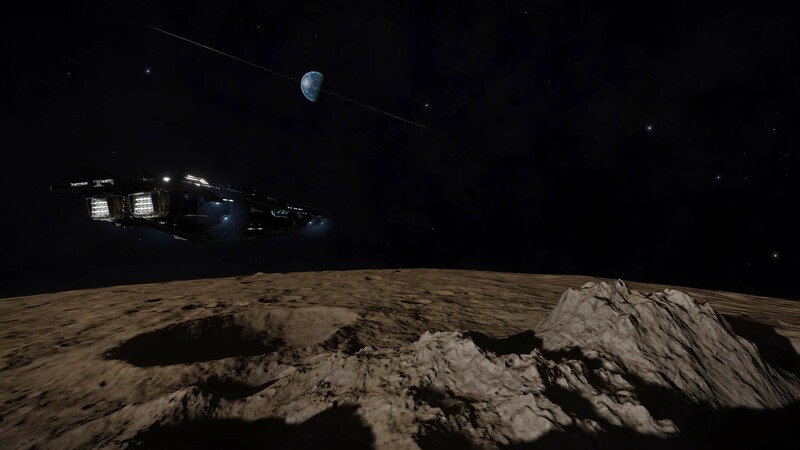 Will stay here for a few days to relax and explore the surrounding systems before pointing my nose back home. 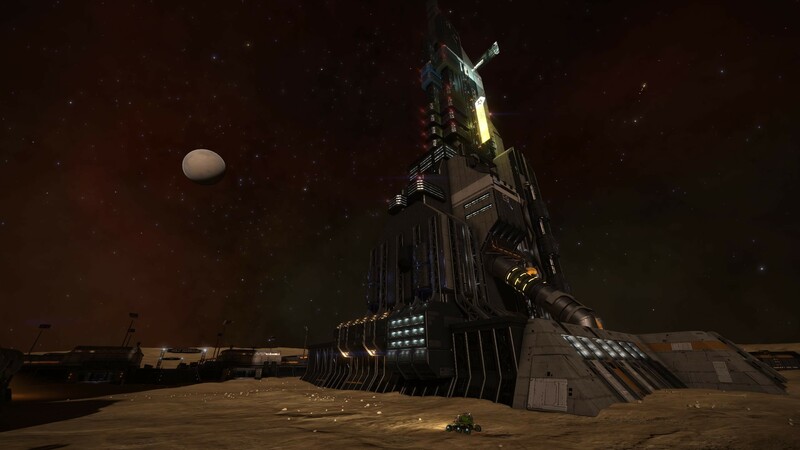 Will also visit the "Semotus Beacon", which is currently the most distant reachable star system from Sol at 65,647.34 LYs. 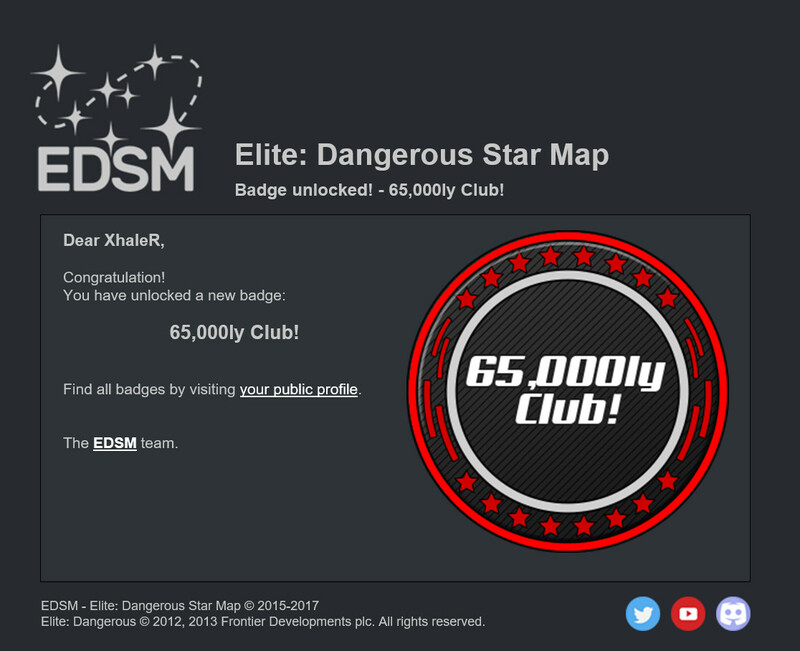 My hard earned "65.000LY Club" badge! 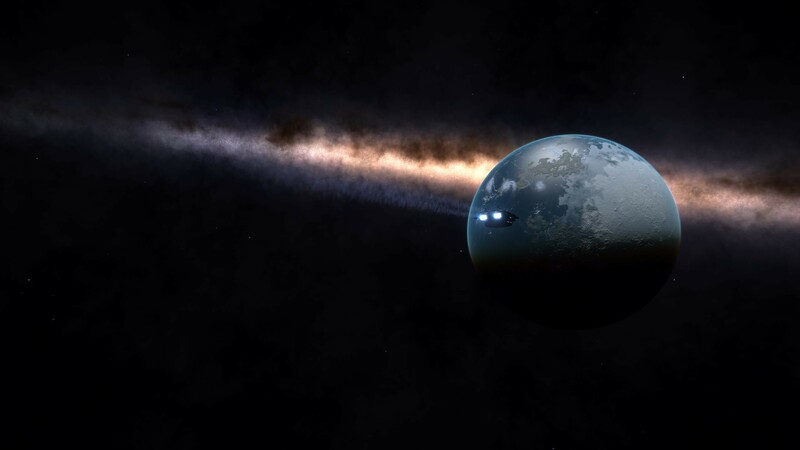 Nice view from the nearest moon of the ELW. 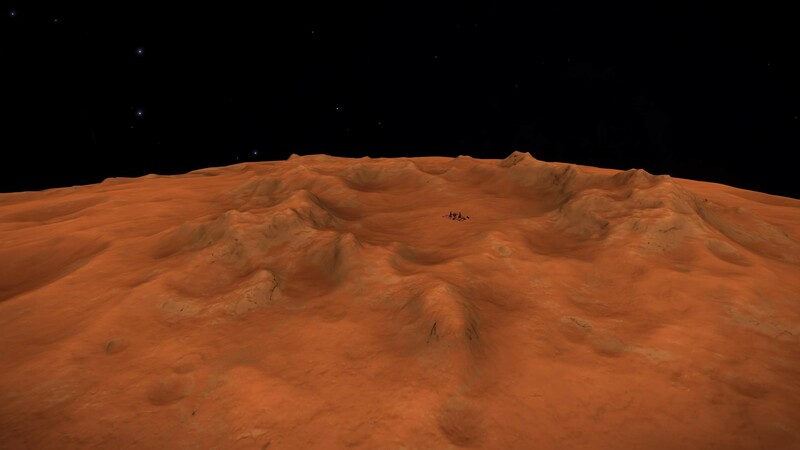 This spot was also one of the rendez-vouz landing sites for the Sagittarius-Carina Mission. After exploring Beagle Point for a few days it was time to move along. 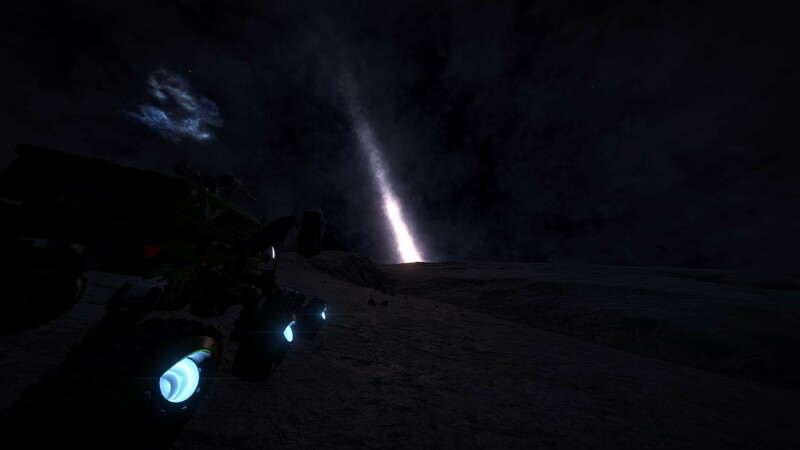 The next POI on my list was "Semotus Beacon" which is currently the most distant reachable star system from Sol. It takes some serious route planning to reach it, where jumponium and a descent jumprange is an absolute requirement to get there. 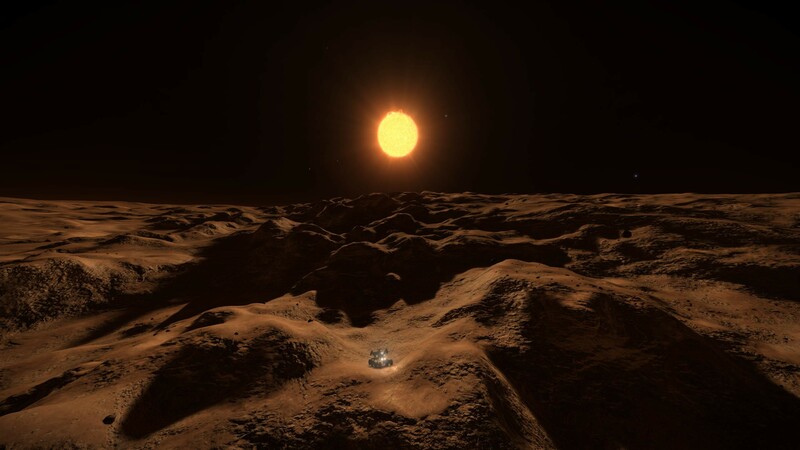 Landed on "Salomé's Reach" which is a moon 134.000LS further out from the primary star, thus making it the most distant object an explorer can currently visit! Beat THAT!! 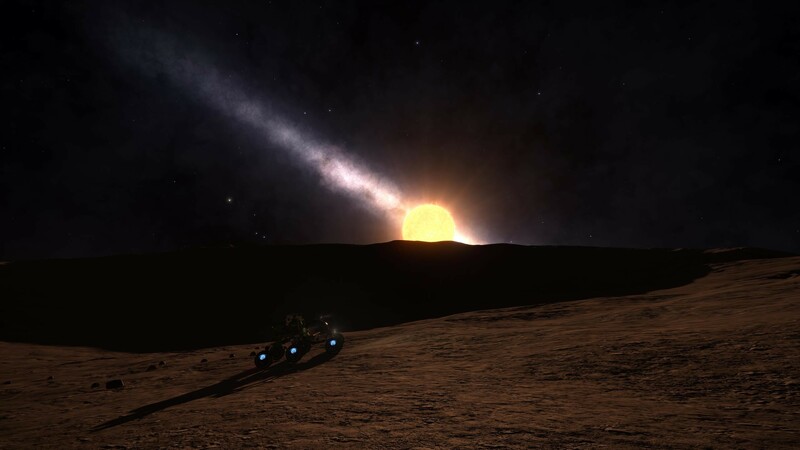 Been here at the rim of the galaxy for a few days now and even if I could stay out here "forever" just enjoying this fantastic view, it's time to think about the long journey home. However, I'm in no rush so I will use all the time I need on the return. 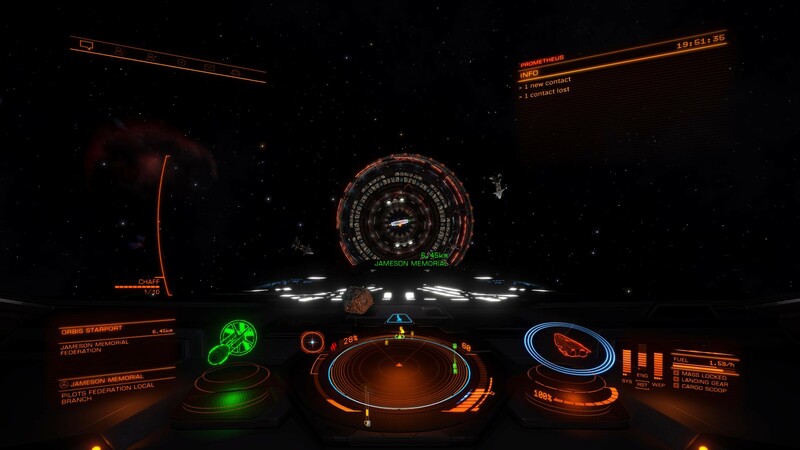 I haven't met any other commanders out here since leaving Colonia, so it was quite surprising when I suddenly received a local message from CMDR MarcoPolo while cruising around Semotus Beacon. He was on a very quick 48 hour trip to Beagle Point, but took the time for a nice chat before we went our separate ways. 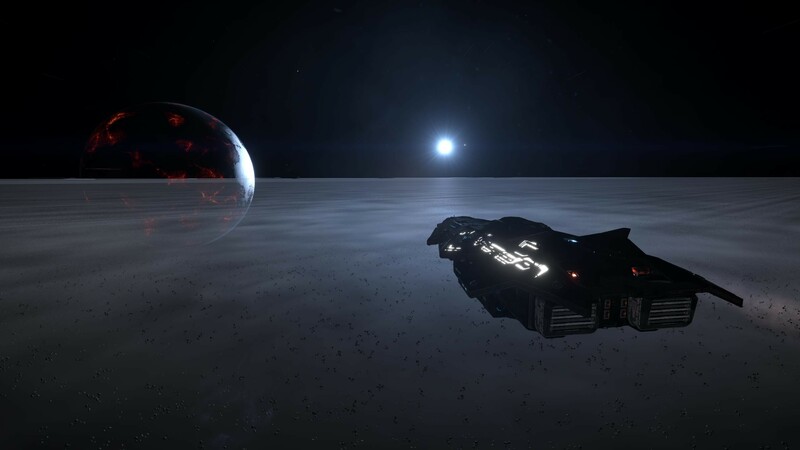 After leaving Semotus Beacon, I have now started on my return home. There are some really interesting POI's out here that I want to visit along the way, and the next one was "The Grill at the end of the road". This is a small area with some nice looking Magma Fumaroles. They were hard to spot from above so I had to use the exact known reference coordinates to locate them. But it was certainly worth it! Spended the night relaxing by the campfire enjoying the view of the galaxy! 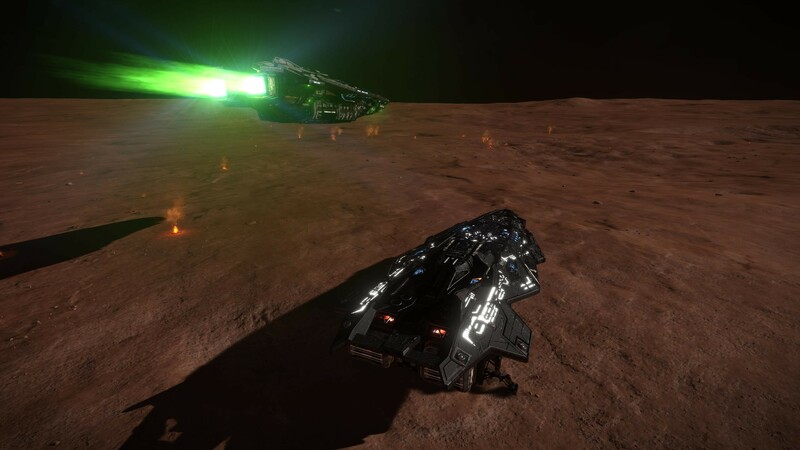 While sitting back and enjoying my barbecued "space-marshmallows", another exploring commander suddenly showed up in his Anaconda. WOW, this place is suddenly getting "crowdy"! I invited him to join me at the camp fire, but he was more of the silent type and kindly saluted and left a few minutes later. But still, nice to meet yet another commander this far from home. Another POI on my list was a visit to "Baton's geyser", but the geyser's themselves were almost hidden in the dark. 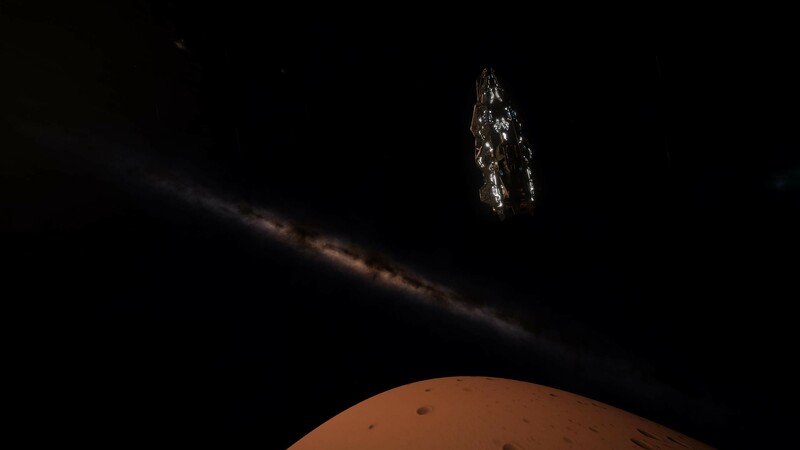 A short visit to "The Treehouse" which is another well known, but hard to reach POI at 65.339.95 LY from Sol. My last POI for today was a stop at "The Northern Meridian". This system is 81,340 LYs from the southern marker, making it to be the most known 'northerly' reachable star from Sol. Nothing special to see in either of these systems, but "been there, done that" as they say! 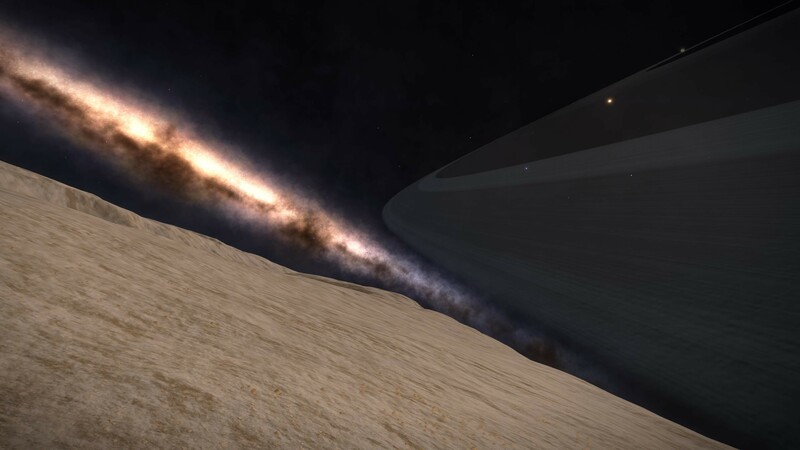 It's been almost two weeks now since I left Beagle Point, and I'm slowly "eating distance" along the edge of the galaxy on my long journey back to the "civilization". 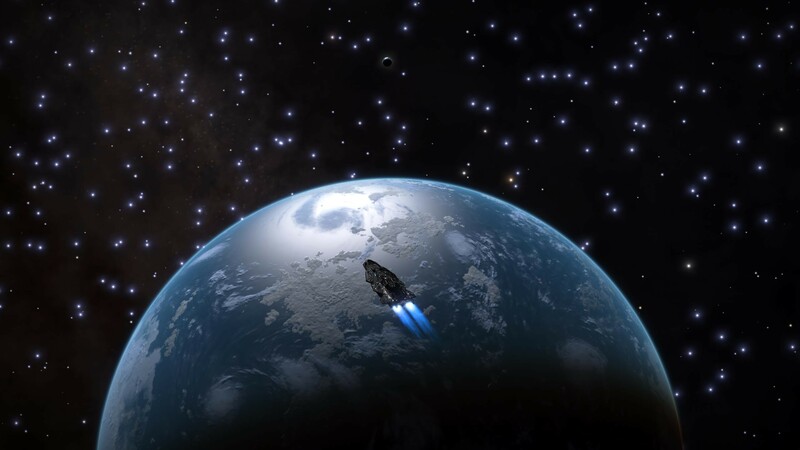 On my way I was visiting "Permadesco Zoi" which is a planetary POI with three waterworlds, but after that I discovered an even more spectacular system (Frecku IG-Y d1), with one Earth Like world and three Water worlds! 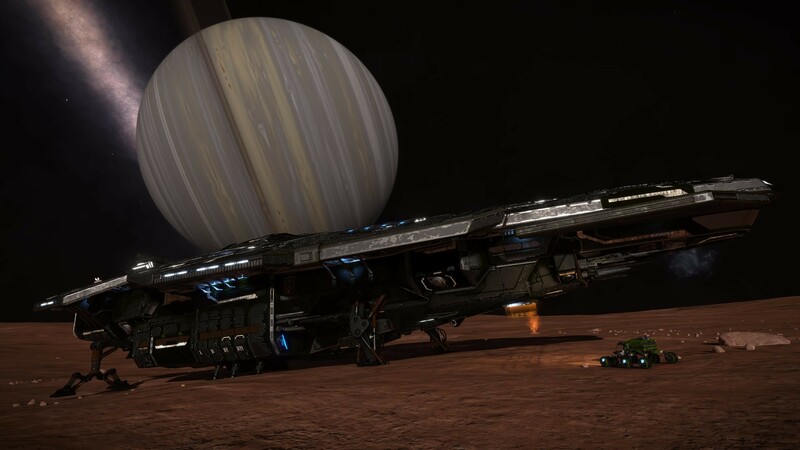 Not too many of these systems, so this was worth reporting to "The Galactic Mapping Project" to let other distant explorers visit the system. 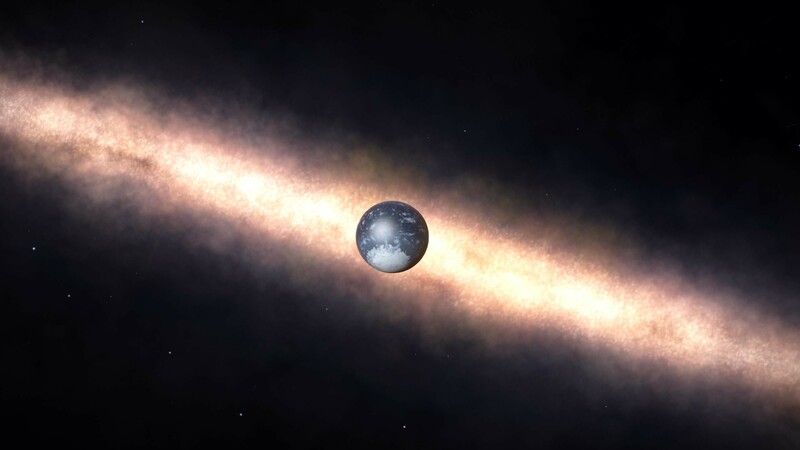 I also discovered a few more ELW's and Ammonia worlds the last few days. 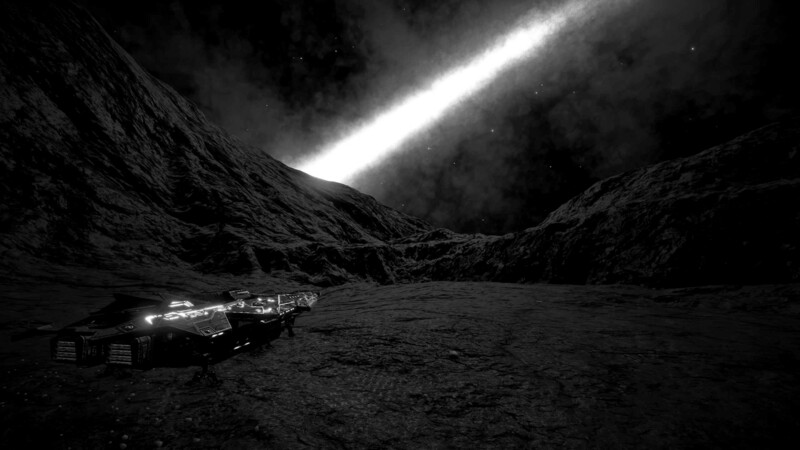 After traveling south along the Sagittarius Carina Arm for a while, I crossed the Tyros Ridge and have now reached the Scutum Centaurus arm. 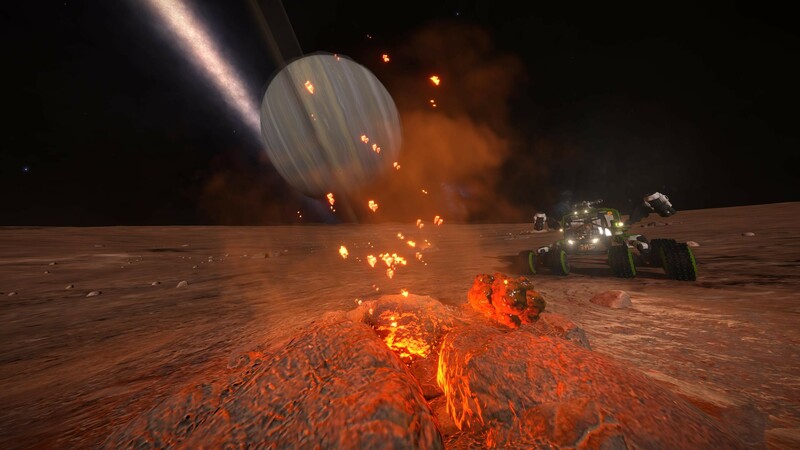 It has been one month since I left Beagle Point and two months since I started this journey, but I still have about 45.000LY's until I'm back home. 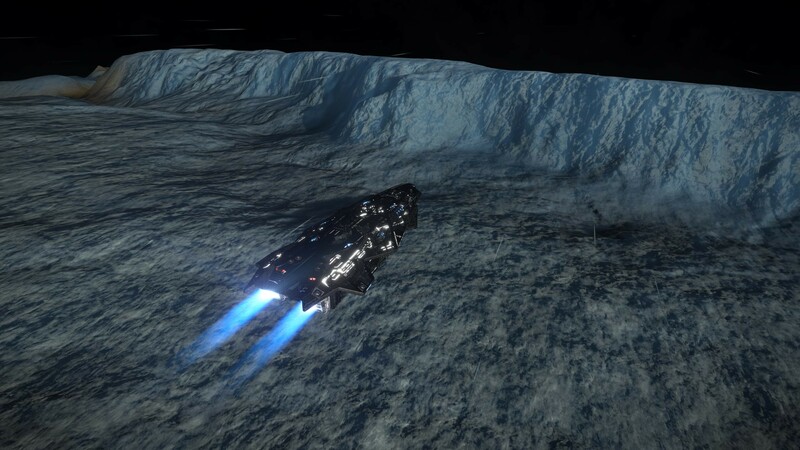 So this is by far the longest trip I've had, but still enjoying every single jump, exploring all these great places out here. Two of the systems that I've discovered on my way were so special and rare that they have now become official POI's in the EDSM Galactic Map. I named them "Solitude Worlds" and "Restless Silence". If you're nearby sometime, they are worth paying a visit! "FireShadow" is another known POI in the EDSM gal.map and also well worth visiting. 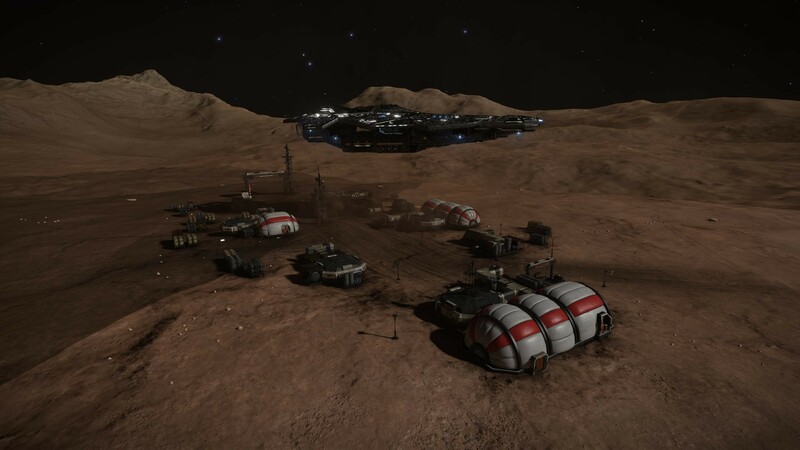 Landed at "Hawkings Gap", an abandoned settlement which is the first sign of civilization I've seen since leaving Colonia over two months ago. Spent the night at "Gibbs's Bridge" before moving on. 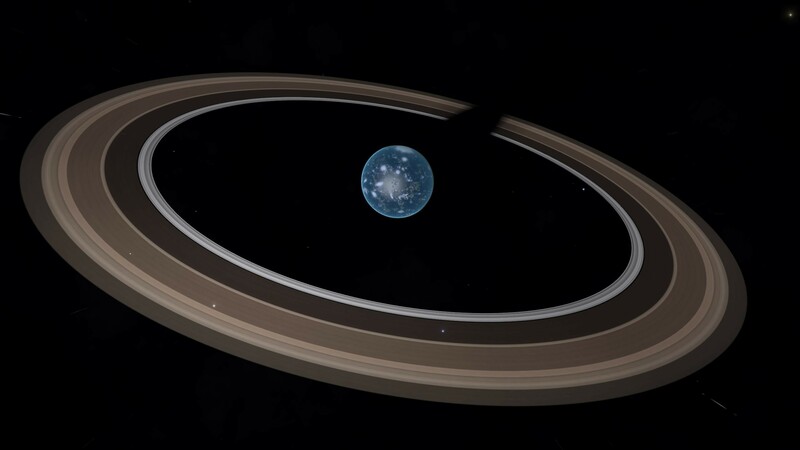 This system has the closest orbiting planet I have ever seen and from the name of it, it's so close you could almost connect it with a bridge! Well worth a visit and also a marked POI at EDSM. 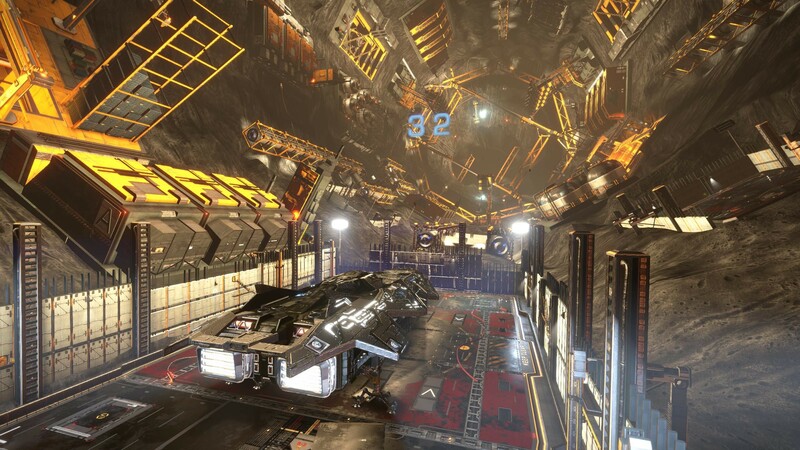 After beeing away for 79 days, covering a total of 163 181LY's to Beagle Point and back, I could safely dock back home in Jameson Memorial today. I've been out for so long this time, that it felt kind of surrealistic doing the last jump and end this extremely long and epic trip. 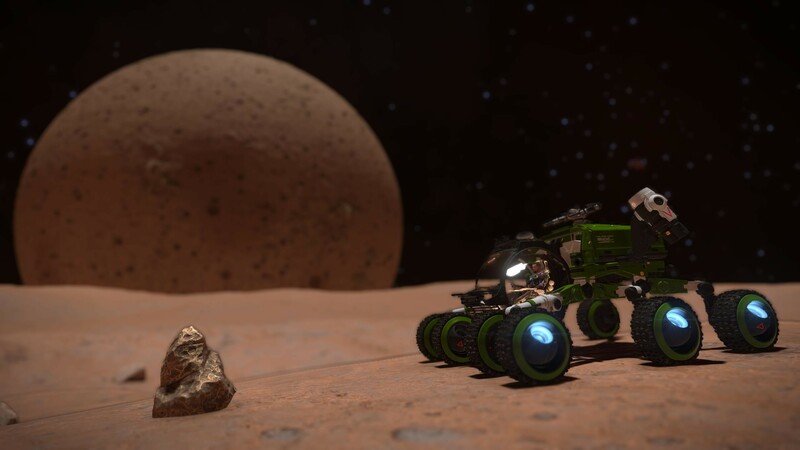 It's been a fantastic adventure with some really great discoveries and awesome views. If you have any interest in exploring, I can really recommend a trip like this. But the most important thing about the whole thing is to take your time and not be in any kind of hurry!! 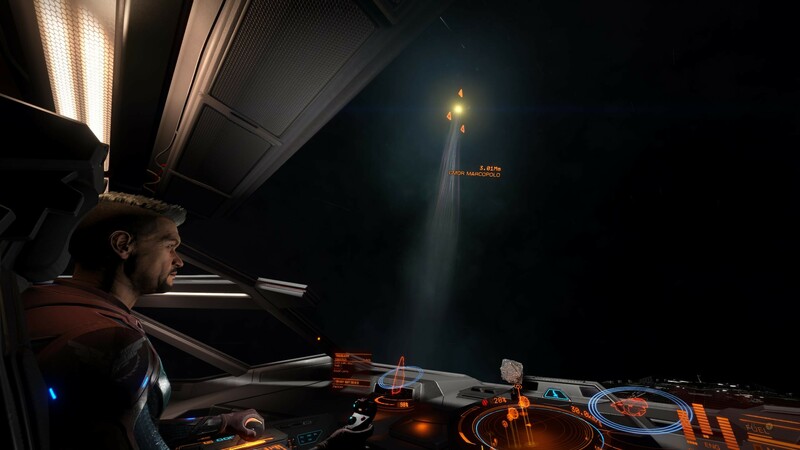 UNTIL NEXT TIME, FLY SAFE COMMANDERS! !